Another $5/$25 Price Chopper Google Ecoupon! 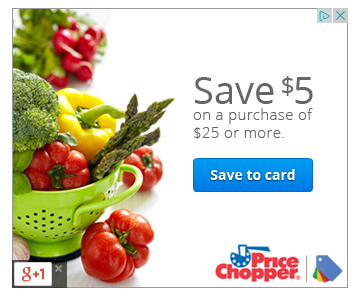 It looks like there is a 2nd $5/$25 Price Chopper google offer ecoupon available! This one expires on 4/14 and the one I posted last week is valid thru 4/7. * I have noticed that these actually expire the day before the dates listed so I would use these by 4/13 and 4/6, respectively.